Back to school is right around the corner and with it comes...dum dum dum...tattling! No matter what elementary grade you teach, kids tattle. A lot. 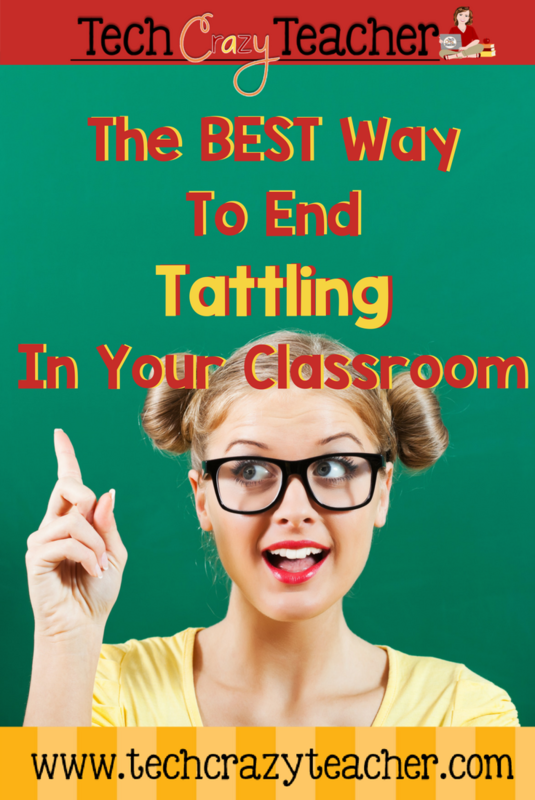 Read on to find out my tried and true way to decrease the amount of tattling that goes on in your classroom! Kids like to tattle. They like to tattle a lot. (Insert frowny face here.) And said tattling can really eat up moments in your school day-not to mention that it is horribly annoying. Many teachers overlook tattling ...well, they overlook it until it runs rampant on the playground. And then when the tattling virus spreads to epic proportions, they say, "Don't tattle," and send the kiddos on their way. Teachers need to really taking the time to TEACH what tattling is and what it is not. Sometimes we forget that we have to teach more than just the content in our curriculum. We have to teach how to get your pencil sharpened, what to do when you run out of paper, and how to line up. We know this. We teach those procedures like the champs we are. Teaching tattling needs to be added to our list of back to school lessons. It needs to be taught first thing and then RETAUGHT as the school year continues. So how do you teach tattling? I teach my kiddos the 5 B's of Tattling. The 5 B's is a classroom management tool to reduce the amount of tattling in your classroom. The 5 B's help your students know when it's appropriate to go to the teacher and what things a teacher wants to know. Am I trying to help someone? OR Am I trying to hurt someone? I then talk to my students about the 5 B's to use when telling the teacher something. Teachers need to know when one of our lovelies is bleeding, right? But I also explain further to my students that this doesn't mean that the little, bitty, tiny, teeny dot right here on my finger needs a band-aid! This is a no-brainer. You fall. You get hurt- I want to know about it. At first I had this as barfing. But it lacked a certain...I don't know...tact. And, of course, our kiddos will have more than a tummy ache. When I introduce this one, I take the time to cover the steps I might take if students say they are sick. And it is not send them straight to the nurse. Did you eat? Do you need to go to the bathroom? Those are the kind of questions I talk to the students about. This one can take longer to cover. It may take some books, videos, and lessons before this one gets set in our students' minds. I usually focus back on the question of whether you are trying to hurt or help someone. 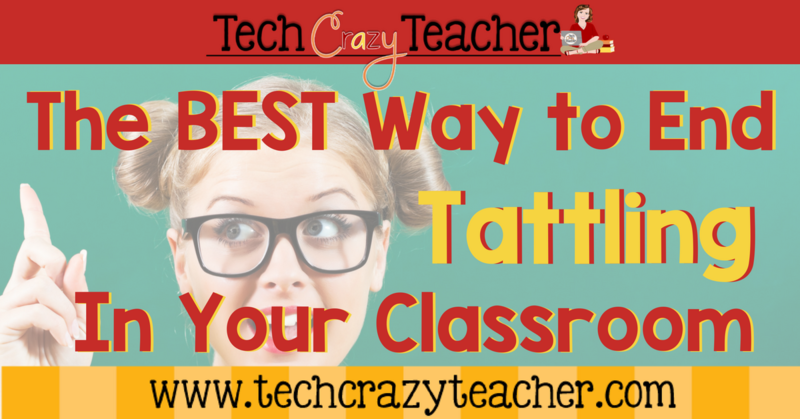 I know some tattling strategies have a Tattling Turtle that kids can tell their woes to or a tattling journal or a phone for students to talk into. I, frankly, never needed these if I taught the 5 B's. When my students come up to me at recess, for example, and begin their tale, I hold up my 5 fingers and ask which B is it. Most of the time, they just sigh, turn around, and go back to playing. Fabulous! Now, you can go make your own poster or anchor chart of the 5 B's OR you can check out my already made resources! Super easy to print, laminate, and display!